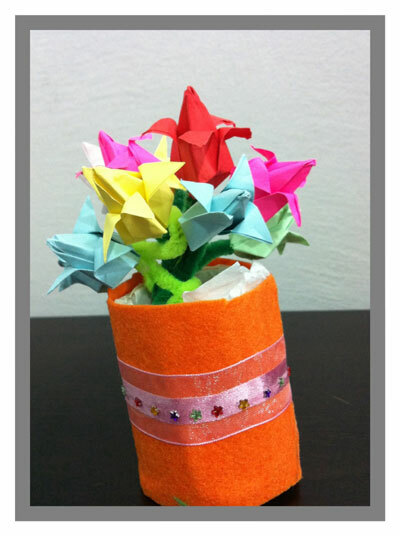 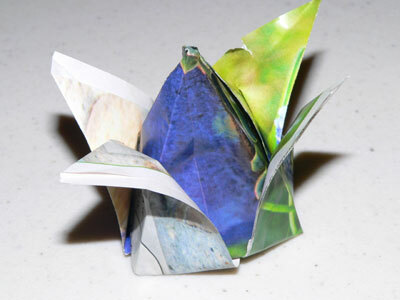 Here are photos of the origami traditional tulip as folded by our readers! 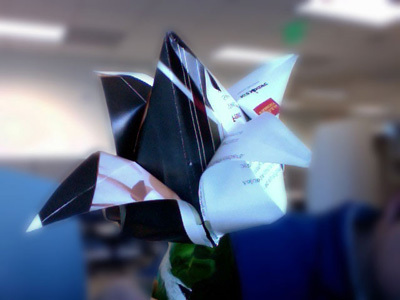 From Benjamin in San Francisco " Everyday I drink a bottle of Perrier and I use scrap office paper to make a Tulip Bulb for the empty bottle. 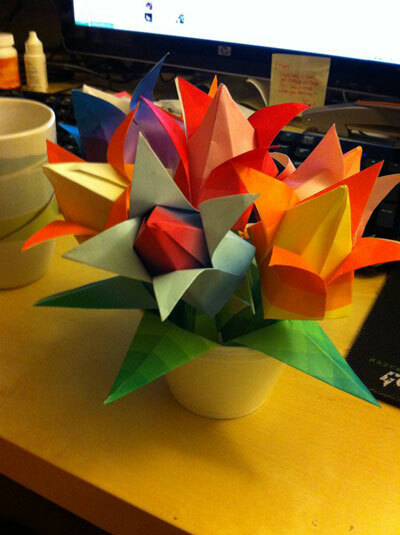 It's nice and it lets me decorate my ugly office! " 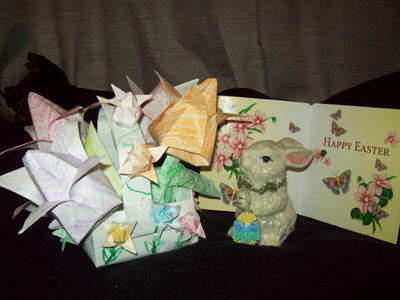 From Faith in Sackville " Love this site! 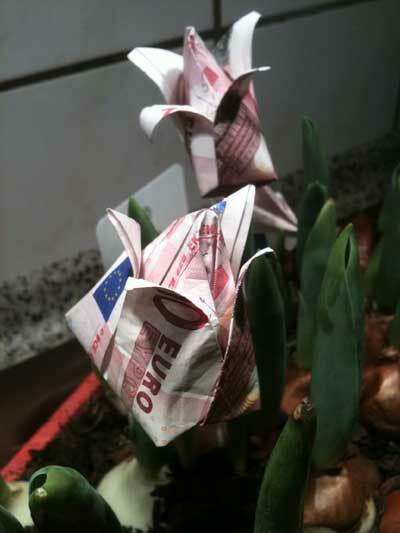 Very useful :) "
From reader in Germany " 10 Euro Tulip. 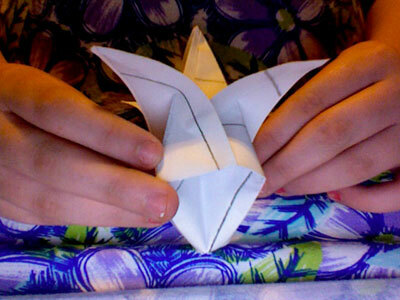 You must put 2 bills together with a tape. 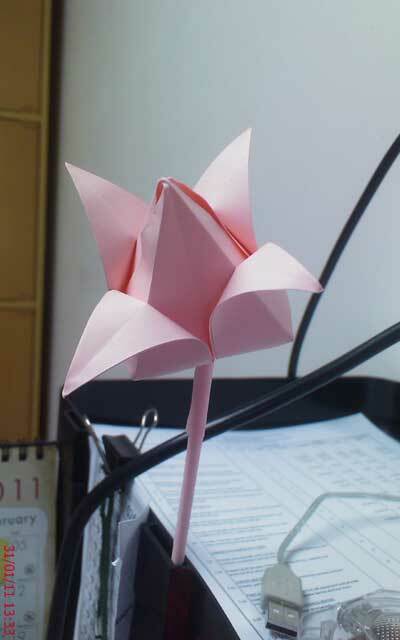 Than it works ." 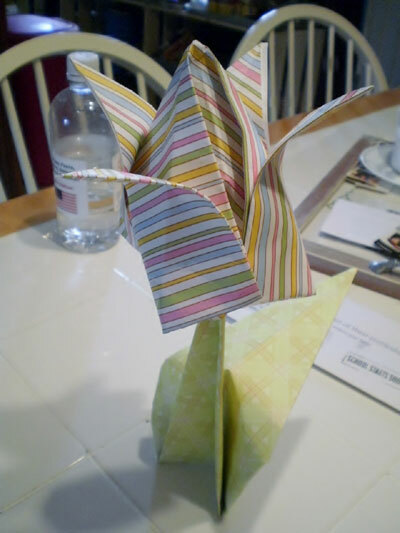 From a reader in Hialeah comes this beautiful display of traditional tulips, in origami baskets and with a heart as well! 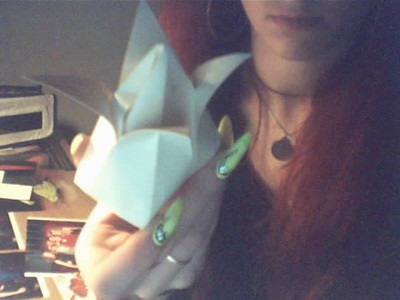 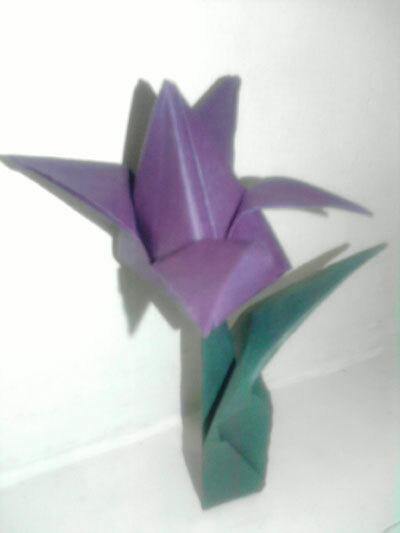 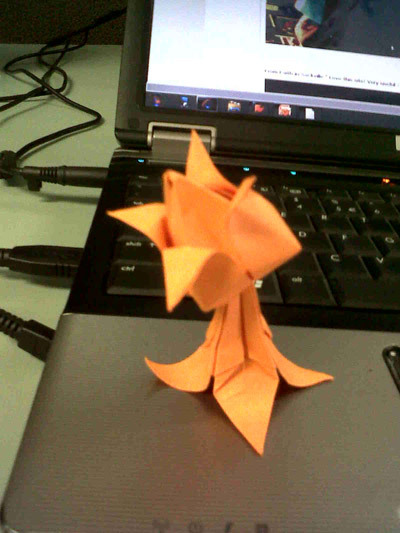 From Emilliani in Sarawak, Malaysia " My Origami Traditional Tulip. 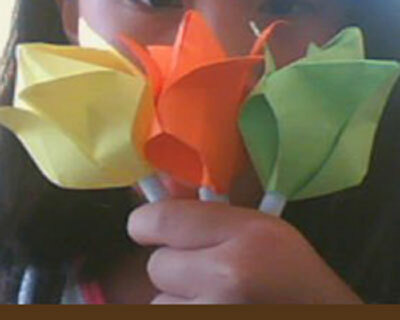 Love it." 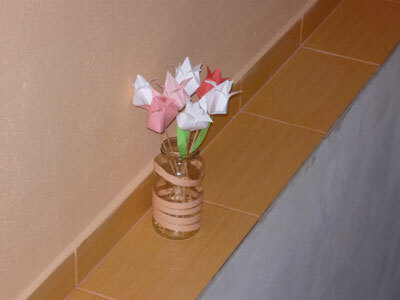 We love it also, Emilliani! 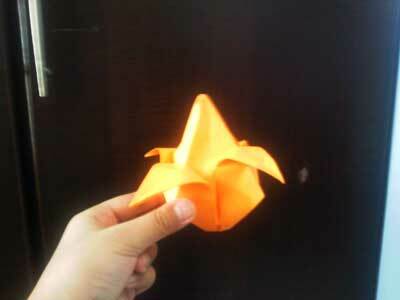 From J-an in Manila " I thought it was very hard.But it was very EASY!!! " 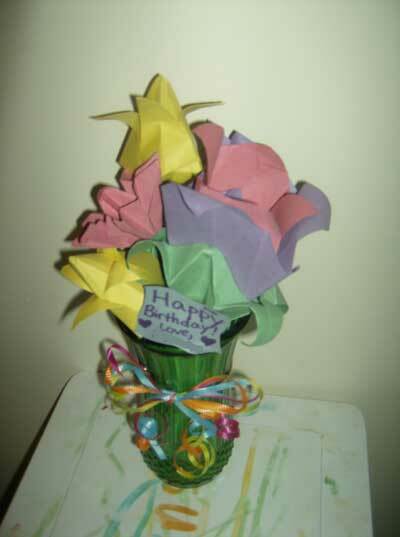 From Megan in Holland " This made the perfect Birthday gift! 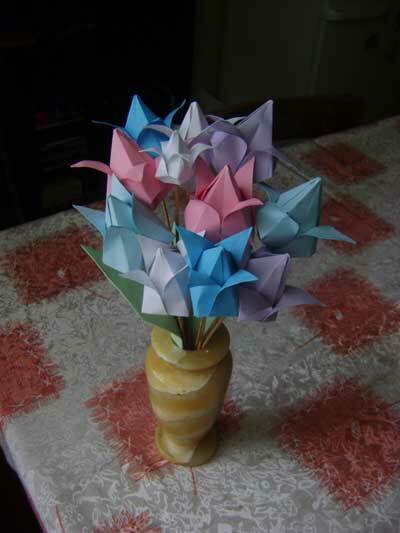 A bouquet of Tulips, a Rose, and a Daisy. " 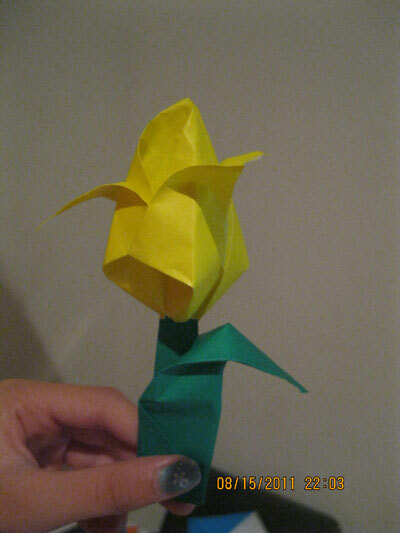 From Jennifer in Appleton "Origami Traditional Tulip." 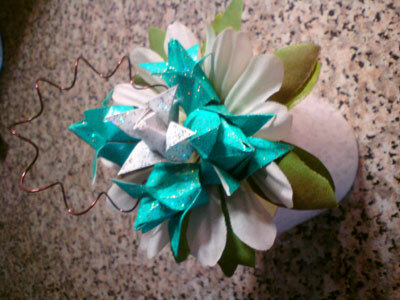 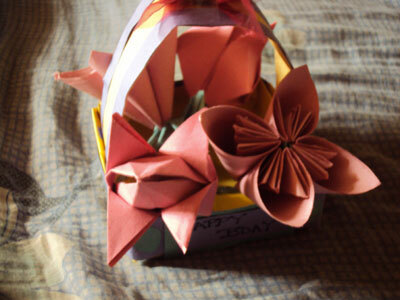 From Sneha in Kolkata " i made this origami basket n filled it with kusudama flowers and tulips. 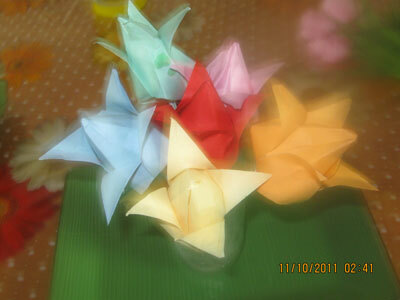 I gifted it to my friend and she loved it!!!!!!!!! " 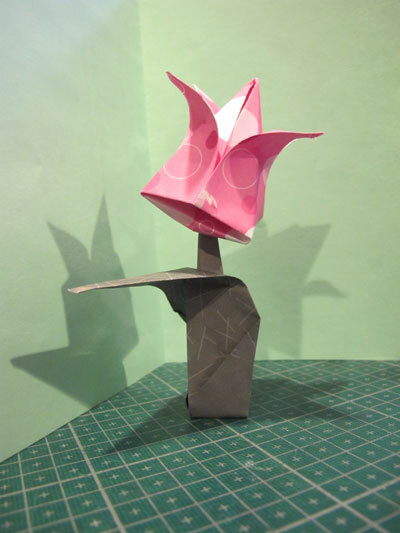 From reader in Georgetown " I made a traditional tulip with some pretty patterned paper. 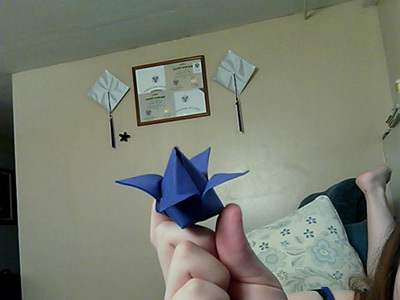 I think it turned out beatifully! 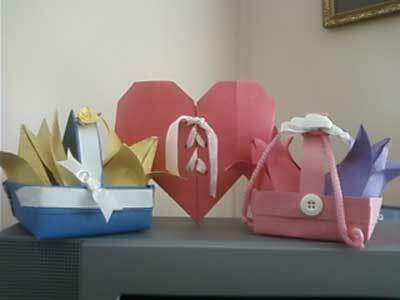 :) "
From Samantha in Cebu " these are my three "ORIGAMI TRADITIONAL TULIP" "
From Sara in Kuwait " origami tulip flower is very easy and simple to make "
From reader in Havelock " The tulip is very easy to do, and I had a lot of fun making it. 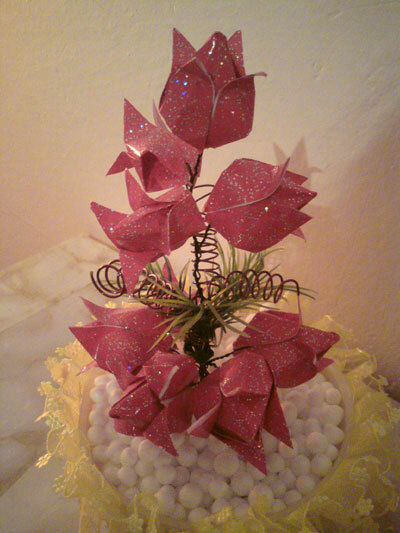 This is actually made with 12 x 12 scrapbooking paper, because I could not find any origami paper locally. " 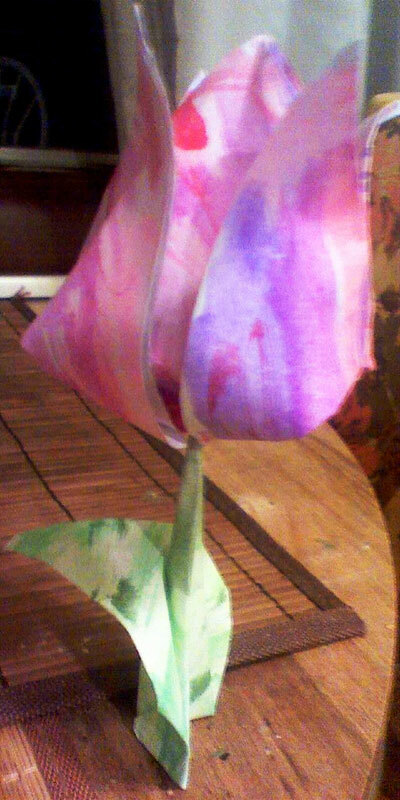 From Dorna in Tampa " my beautiful origami tulip "
From reader in Markham " my first tulip and stem "
From Randy in Show Low " I made this tulip and leaf base from paper I water-colored beforehand. " 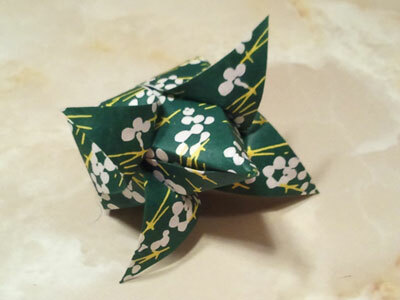 From reader in Wellington "This was fun and easy."